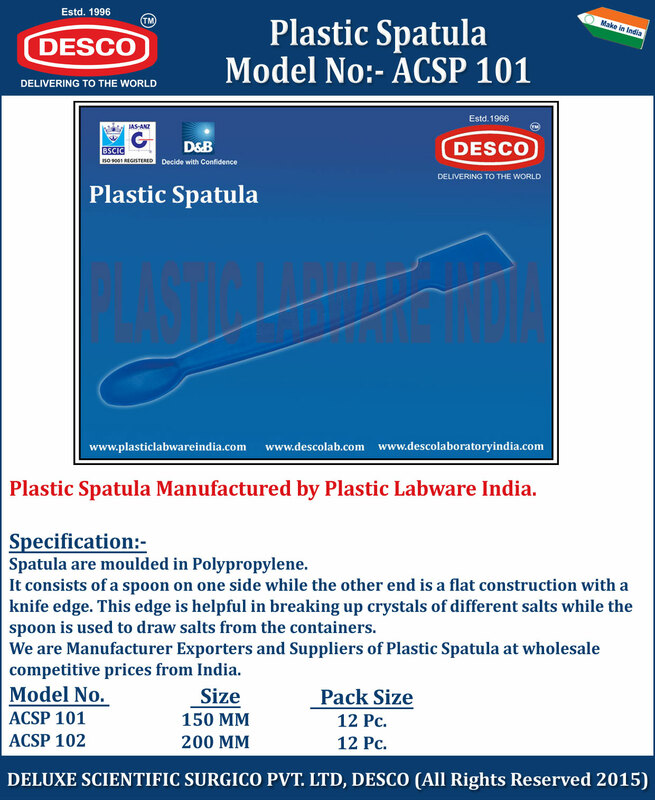 Spatula are moulded in Polypropylene. It consists of a spoon on one side while the other end is a flat construction with a knife edge. This edge is helpful in breaking up crystals of different salts while the spoon is used to draw salts from the containers. We are Manufacturer Exporters and Suppliers of Plastic Spatula at wholesale competitive prices from India. ACSP 101 150 MM 12 Pc. ACSP 102 200 MM 12 Pc.